Jaipur : Strict action will be taken against cow smugglers and cow vigilantes engaging in hooliganism in the state, said Rajasthan Special Director General of Police (Law and Order) N.R.K. Reddy on Tuesday. Reddy was speaking at a meeting called to review the progress of investigation in the Rakbar lynching case. The meeting was presided by Director General of Police O.P. Galhotra, and attended by Additional Director General of Police (Crime) P.K. Sigh, Inspector General of Police (ACB) V.K. Singh and state Nodal Officer (Cow Vigilance) Mahendra Singh Chaudhary. The investigation to date was reviewed at length and strategy for the way forward was chalked out at the meeting, according to an official. Reddy said strict vigil is being maintained on the activities of cow smugglers as well as cow vigilantes in the state and those found guilty will be dealt with strictly. Three accused were arrested for killing Rakbar Khan on the intervening night of July 20-21 and steps are being taken for the arrest of remaining accused, he said. Meanwhile, in Govindgarh in Alwar, three women were arrested on Monday with 40 kgs of beef have been grilled. They have admitted that they were selling beef on demand to nearby villages. 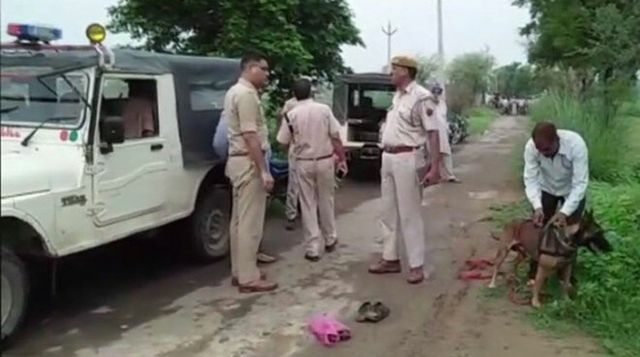 On Tuesday, the police also arrested Shakeer, son of Akbari, who was missing since Monday, said Dhara Singh, a Govindgarh police officer. These three women and Shakeer said that many of their relatives in Alwar and Bharatpur are engaged in beef selling. Rajasthan Home Minister Gulabchand Kataria said that cow smuggling and beef sale is illegal, and therefore, culprits engaged in the same will get strict punishment. No one has the right to hurt the religious sentiments of people in this country, he added.